To coincide with Valentine's Day, Golden Guitar and three-time Country Music Channel (CMC) award nominee, Jason Owen has kicked off the new year with a fresh approach and change in his music direction. 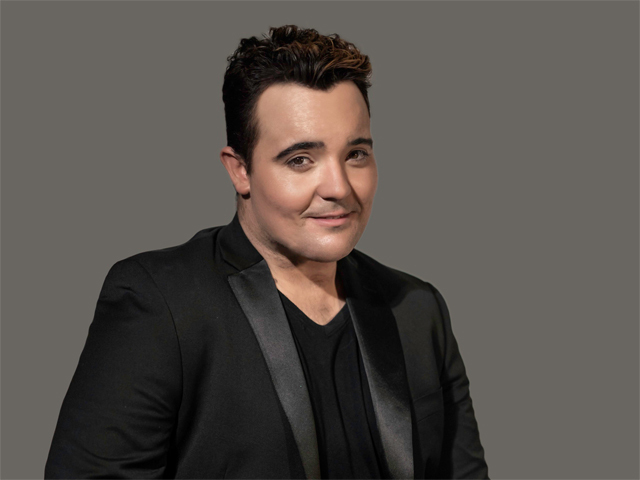 Showcasing his powerhouse vocals on one of the biggest and most recognisable ballads in the world, Jason has taken on Celine Dion's classic hit which was originally recorded by Jennifer Rush, The Power of Love and recorded it with his own unique style. Released last week to Australian radio, Jason has taken out the #1 spot as the most downloaded track on Play MPE this week and is currently #1 featured track on the amrap regional chart. "I've always felt as an artist it's good to recreate yourself as it makes you stronger and shows your fans and people who enjoy your music that you can be diverse and not boxed into one particular genre. This particular song is something new and fresh for me and was definitely a challenge." I'm definitely stepping out from my comfort zone, after a year of challenges I want people to see who I am. I have struggled with acceptance and felt I have never fitted into the Country Music scene. In addition to the radio edit, Jason has partnered with Grammy nominated, platinum selling UK based production and song writing team, Love to Infinity who have created an up-tempo club remix. Formed in 1992, Love to Infinity has remixed a wealth of dance and pop artists including; Madonna, Michael Jackson, Cher, Diana Ross, Aretha Franklin, Kylie Minogue, Gloria Estefan, Whitney Houston, Loleatta Holloway, Celine Dion, Shania Twain, Grace Jones, Will Smith, Pet Shop Boys, Robbie Williams & many more. Love to Infinity have produced and remixed over 35 number 1 hit records, over 100 top 40 hit records and have over 65 platinum, gold and silver discs to their career tally to date. 2018 highlights include remixing Cher's massive comeback Abba cover "Gimme! Gimme! Gimme!" with two different mixes included on the worldwide digital release, hitting #3 on the US Billboard Club charts. The Power of Love was serviced on 25 January 2019 ahead of Jason's guest performance of the Australian national anthem which he performed in English and Eora on top of the Harbour Bridge to mark the start of Australia Day as part of the WugulOra Ceremony.